While we were away for a few days I was able to bird watch. 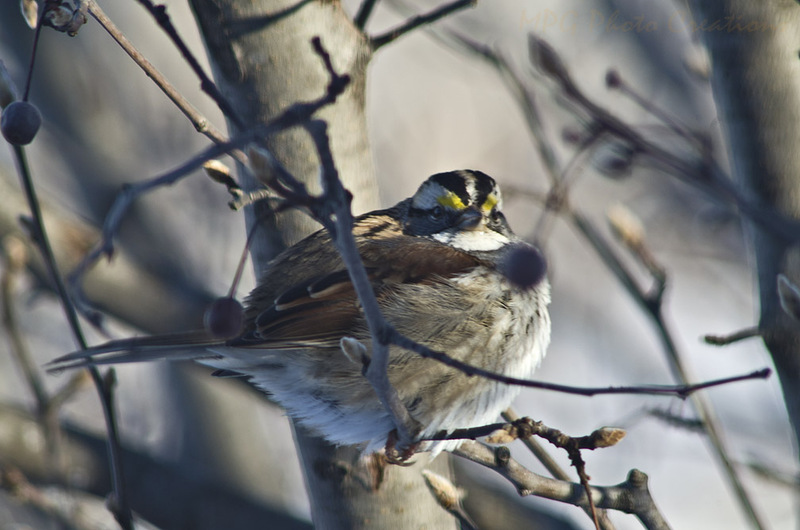 I saw and captured this White Throated Sparrow which was a type I had not seen before. I was able to get fairly close to them so this was taken with a 300mm lens and is un-cropped.